You never know what you’re going to discover when you start doing a little genealogy research. Stories of famous and infamous ancestors have been passed down in my family for generations … like the ancestor who was released from the Tower of London in 1528 after Anne Boleyn wrote to Cardinal Wolsey on his behalf; the knighted ancestor who was Lord Mayor of London in 1538; the aquatic ancestor who coxed a winning Cambridge crew against Oxford in The Race; and the beautiful ancestor in Perth, Scotland, who inspired Sir Walter Scott in the early 1800’s. I always thought most of those stories were, at best, gross exaggerations; the pre-internet word-of-mouth versions of the stories many people make up about themselves and post online. As much as I love a good story, I decided to weed out the fact from the fiction in my backstory and I got a few surprises. Some of the stories were actually true. Others were partially true. And I discovered one story that has been kept hush-hush for over 200 hundred years. On August 13, 1782, Thomas Forman married Rebecca Andrews in Ludford Magna, Lincolnshire. Eighteen years later, on May 24, 1800, Rebecca gave birth to my great-great-great-grandfather John Forman in North Thoresby, Lincolnshire. 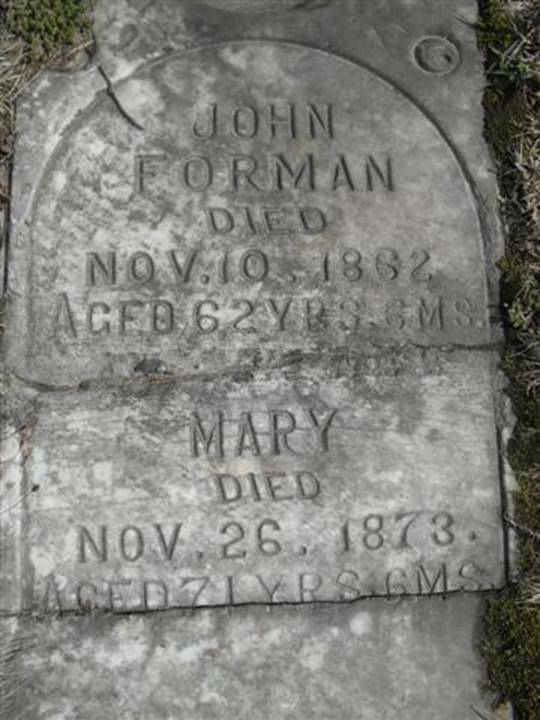 There’s just one little problem … Thomas Forman died in 1789, eleven years before John was born. I thought maybe someone had recorded the dates wrong on the documents. Then I found this document – the 1800 baptism records from North Thoresby. I’ll probably never know who my paternal great-great-great-great-grandfather really was. All I know for sure is that John Forman moved to Presteigne, Radnorshire, Wales as a young man, got married, had several legitimate children, and then packed up his family and brought them to Canada in 1845. And I recently learned where his final resting spot is. 173 years after John Forman arrived in Canada and 156 years after he died, his legitimate great-great-great-great-grandson (my son - John Forman) and I will soon be driving to Perth County, Ontario to pay our respects.